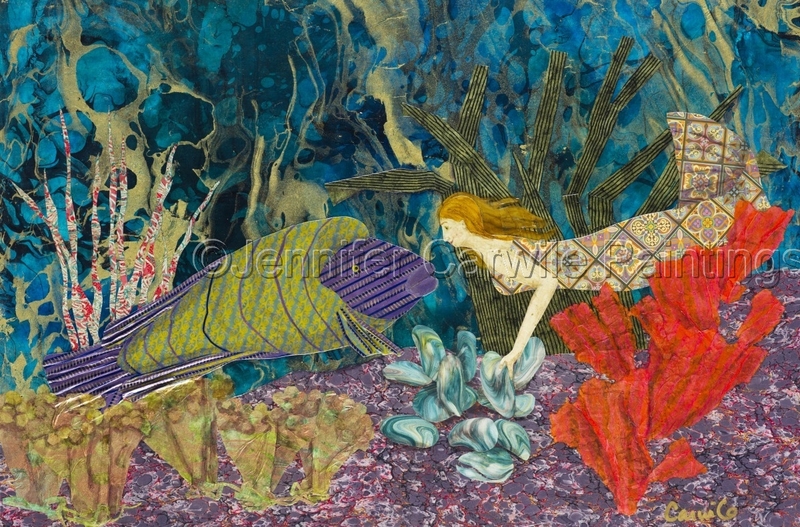 New Mermaid is taught how to find oysters by a Napolean Wrasse. This image is a collage including Thai, French, Italian, Japanese and Indian papers. 9" x 13.75"17" x 25.75"23" x 35"